When talking about smartphones, you cannot ignore Micromax smartphones. 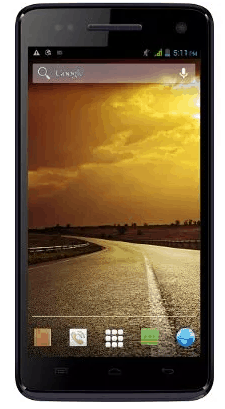 Micromax smartphones has secured a good place in the market and Micromax A120 is one of the best release of this brand. In this article, we will provide you the required drivers for your device. Simple download and install the drivers in order to connect your smartphone to a computer or flashing firmware on your smartphone. The phone runs on Android 4.2 (Jelly Bean) powered by quad-core 1.3 GHz cortex A7 processor. The internal memory of the phone include 4 GB with 1 GB RAM and also support micro-SD card upto 32 GB. The camera of the phone is awesome including 8MP primary camera with LED flash and 2MP secondary camera for selfies. The connectivity medium include WLAN, Bluetooth, GPS, Radio and USB. Regarding the display, the phone include 5.0 inches display with a resolution of 720×1280 pixels. The sensors on the phone include accelerometer and proximity. It is powered by Li-Ion 2000 mAh battery. Download CDC Driver For Flashing Firmware. Download VCOM Driver For Flashing Firmware. Download ADB Driver For Connecting Purpose. Let us know in the comment section if you are facing any problem related to this post. Also, carefully download and then install the above drivers on your computer.